Financial advising can be a lucrative field… if you know how to market your services correctly. In fact, the U.S. Bureau of Labor Statistics reports the top 10% of financial advisors earn over $208,000 per year. The top 1% makes MUCH more. I'm talking millions. And our financial services industry is growing - it’s expected to grow by double digits in the next few years. Which means if you’re a financial advisor, you have the opportunity of a lifetime. Don’t let it slip through your fingers. Because according to a report from research and consulting firm Cerulli Associates, there are 310,504 financial advisors in the United States alone and every single one wants to eat your lunch. So, how do you crush the competition, get more clients, and win the life you deserve? I’ve had years of experience getting clients and my personal results should be considered exceptional. 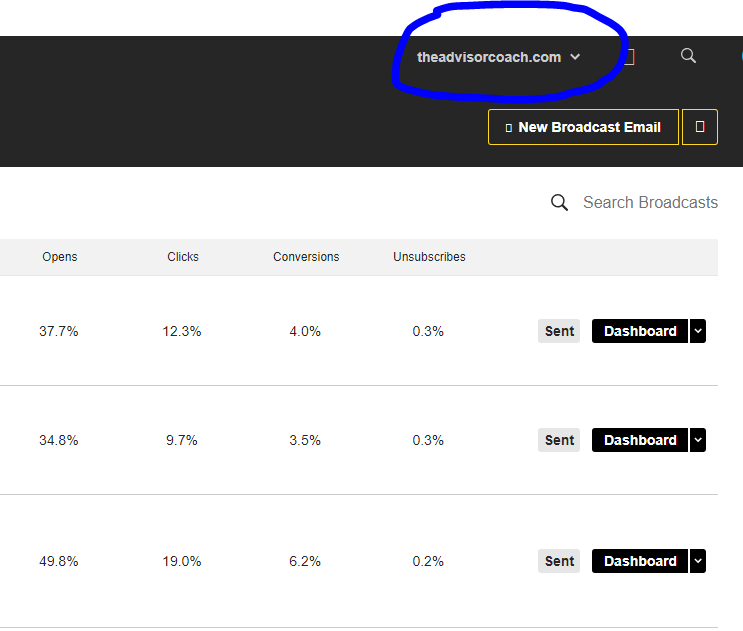 Hi, my name is James Pollard and I’m the founder of this site, TheAdvisorCoach.com. I'll cut straight to the case: this is an amazing course designed to help financial advisors build their businesses. If you're someone who requires the best, most-effective business-building information, this is it. It's my flagship product. The mack-daddy, if you will. It’s called "Financial Advisor Marketing Mastery" and it's an online course with over 11 hours of video content giving you a road map to grow your book of business and get more clients. Because it's guaranteed to be worth at least 10 times the cost or you pay nothing. I know that may seem like a bold claim but it's actually very conservative. To prove it, here's a small sample of what you’ll discover in the videos…. The single most-important core purpose which should be behind all business planning you ever do… getting this wrong will DESTROY your client-getting efforts. The only 2 ways to make more money as a financial advisor. How to develop a step-by-step plan to get more clients. Once you do this, it’s like painting by numbers. 80% of your time should be spent doing this one thing. Stray from this "80% rule" and your business will suffer. Several little-known characteristics people want from their financial advisors. The sad truth is almost all financial advisors are aiming at the wrong target. The shocking ways people choose their financial advisors - knowing this “insider information” will make sure your prospects choose YOU. How to build instant trust with your prospects. How to audit your competition to replicate their strengths and avoid their weaknesses. This will give you an unreal advantage. Four metrics you must be tracking on a regular basis. These four numbers are the lifeblood of every advisor’s business, yet most don’t know what they are. How to pick a niche market which will catapult you to success. Why “casting a wide net” reduces your marketing effectiveness (and what you should do instead). A major key for addressing your affluent prospects’ unspoken objections about working with you. 8 reasons why picking a niche market is the best thing to do as a financial advisor. 5 of the best niches for you to target right now. The little-known “avatar trap” preventing advisors from getting clients even if they’ve chosen a niche market. What the world’s richest advisors do that other advisors often miss… and it’s a deceptively simple tactic. The critical follow-up mistake financial advisors make which destroys the chances of getting an appointment. If you’re doing this, you’re pulling the rug out from under your own feet. 3 follow-up statistics with the power to transform your life forever. A sample 7-week follow-up campaign built from the ground up to convert prospects into clients. Does your prospect already have a financial advisor? No problem! I’ll show you how to turn this so-called “objection” into an incredible advantage for you. Why 87% of people fire their financial advisors. The single tip has the power to pay for the course ten times over. Use it wisely. 7 traits of the worst financial advisors. 4 books from my own personal reading list to help you think bigger and improve your life in more ways than mere financial advising. Shocker: why your company is NOT your brand. 5 characteristics making up the world's best personal brands. How to demolish your prospect's price objection and charge what you’re really worth, every time. 3 things you must do to achieve a rock-solid position in your market. 4 ways to build trust with your prospects and clients - the fourth tip might make you uncomfortable but it will be one of the most profitable things you ever do. The often-overlooked way to leverage your time and build a massive pipeline in one fell swoop. 3 things prospects want from financial advisors, ranked in order of importance. Exactly how to find trade associations filled with your target market. How to overcome a meeting planner’s two basic fears so you get booked to speak at seminars, trade shows, and conferences. 6 things to include on your evaluation forms. 5 of the biggest mistakes financial advisors make when speaking in public. Weird yet effective ways to boost your productivity to get more done than ever before. Why increased results alone can be misleading. In fact, if you aren’t doing this one thing in addition to tracking results, you could be going backwards. 3 ways for you to become more efficient. These three things will allow you to achieve maximum productivity with minimum effort. It’s easier than you think to double your current productivity. I’ll show you how. 5 ways to make increasing your productivity a competition with yourself. Can you beat your “high score”? The stupidest mistake you can make when trying to become more productive. Financial advisors who do this one thing might as well flush their money down the toilet. How to tap into your “inner salesperson”. Once you do this, you will be darn-near unstoppable. 3 reasons why traditional sales advice doesn't work for financial advisors (and what you should do instead). The number-one reason for failure as a financial advisor. 4 ways to boost your credibility in your prospects’ eyes. 3 questions your prospects are asking themselves when they decide whether or not to trust you. If you fail to answer these three questions, you will never get your prospect’s trust. The golden rule of “closing” you must never forget. How to shortcut a prospect’s “evaluation period” so you hear a “yes”, faster. 3 ways financial advisors appear too “salesy”. Any one of these three things is enough to scare prospects and clients away for good. The quickest, easiest way to shift your mindset about prospecting so any feelings of dread are gone forever. Is prospecting really just a “numbers game”? My answer may shock you. Why prospecting is NOT a “selling” activity. How to avoid the “feast or famine” prospecting model plaguing most advisors. 6 dangerous thoughts about prospecting keeping you from reaching your maximum potential. How to cut your prospecting time in half. 4 things top financial advisors DON’T do - cut all four of these activities out of your life immediately. 2 mindset shifts you must have to become a superstar prospector. 2 essential traits separating the best cold callers in the world from people who flop on every call. Exactly how to leave a voicemail which makes prospects desperate to call you back. 3 of the most common reasons why financial advisors mistakenly believe cold calling doesn’t work. How to conquer the most difficult part of cold calling in five minutes or less. Why cold calling is NOT about trying to find new customers (and what you should do instead). 11 ways to generate leads - after this, you will have no excuse for having an empty pipeline. 3 cold calling metrics you should to track on a regular basis. How to do pre-call research to maximize your chances of having a successful call. 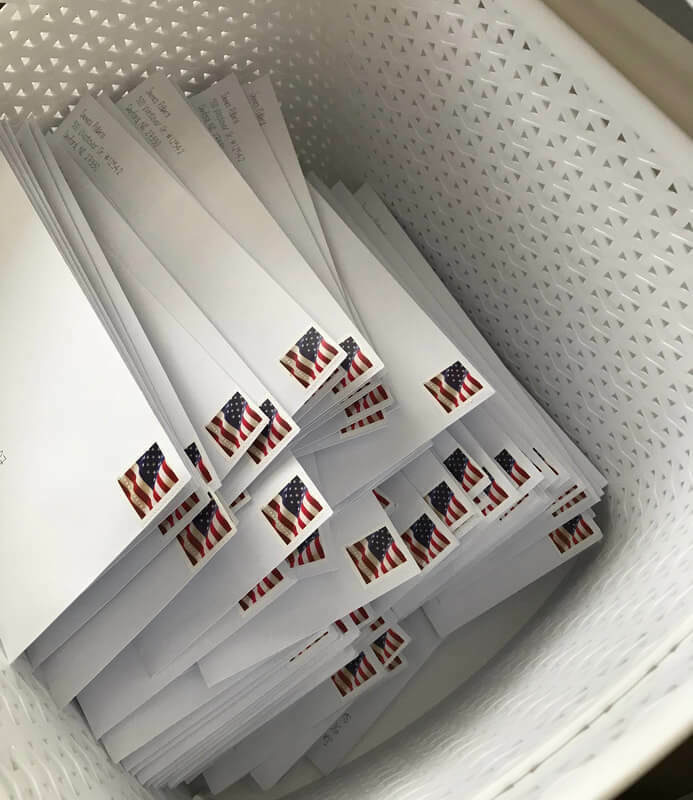 Why the majority of advisors fail with direct mail… and how to transform mailboxes and stamps into cold hard cash. The biggest reason why direct mail is underrated, even when 70% of Americans say “snail mail” is more personal than the Internet. How to track your direct mail efforts to ensure you get a positive return-on-investment. Why it’s easier than you think to double your response. Should you use a letter or a postcard? Or neither? I’ll reveal what I’ve found to work best, and more. 6 ways to immediately boost your response. My 3-step “magic formula” to orchestrate a successful mailing, every time. 5 of the biggest seminar mistakes financial advisors make - don’t even THINK about getting in front of an audience until you know what these are. How to get more people to show up to your seminar than ever before. My “50/50” rule which allows your seminars to fill your pipeline AND close deals with existing prospects. Should you offer food at your seminar? I’ll tell you what I think and why. 4 terrible seminar locations to avoid like the plague. 3 major keys to keep in mind when following up with your seminar attendees. 9 places where you can speak to a “captive audience”, meaning you don’t have to send out any invitations. You just show up and give your presentation. The overlooked, ultra-low-cost way to present dozens, perhaps hundreds, of people at the same time. It’s NOT a seminar, although it’s pretty similar. 7 topic ideas you can “plug-and-play” into your next seminar or event. The math behind generating $6 million in new AUM every single year with strategic alliances. It won’t happen overnight, yet it’s easier than you think. How long does it take to get referrals from CPAs and attorneys? I’ll reveal the answer… and you may be pleasantly surprised. 2 “big rules” you must remember when cultivating strategic alliance relationships. The MASSIVE problem you solve for CPAs - whenever you shine a spotlight on this problem, the CPA will virtually beg to send you referrals. 4 things that almost never work when trying to develop a referral relationship. Doing any of these four things is like banging your head against the wall. The ONLY long-term, sustainable way to develop strategic alliances. What to do when a strategic alliance tells you “I don’t give referrals”. 5 talking points to use during your initial meeting with a strategic alliance. The stupidest mistake financial advisors make when attempting to get referrals. 4 eye-opening referral statistics which highlight why referrals should be part of your overall marketing strategy. Why nearly all advisors fail at getting referrals. I’ll give you a hint: the referral should NOT be about you. The most important thing to before asking for a referral. If you don’t do this one thing first, you have virtually no chance of getting a referral. How to ask for a referral… the right way. None of the stupid, “Who do you know?” or “I get paid in two ways” crap. My “moral of the story” - it’s contained on the last slide of this video and it’s something to hang above your desk so you see it every day. Yes, it’s that important. Tried-and-true ways to make your website work for your 24/7… even if you’ve never gotten leads from your website before. 4 reasons why your website is your number-one employee. The biggest lie financial advisors tell themselves about their website. If you’ve fallen victim to this lie, it’s costing you money every day. A website’s “secret weapon” which most financial advisors don’t even know exists. Incorporate this into your site and you’ll have an edge over all your competitors. 2 critical ways to build trust on your website. Without these all-important trust-builders, prospects will be hesitant to set an appointment with you. The dumbest mistake financial advisors make with their website. How to create amazing pieces of content that generate inbound leads whether you’re asleep, working, or on vacation. 4 reasons why content marketing is one of the most profitable marketing strategies for financial advisors. How to double your content marketing’s inbound leads with this simple tweak. 3 of content marketing’s “superpowers” which enable it to cost 62% less than traditional marketing and generate 300% more leads. How to generate endless ideas for your content. You will never run out of ideas again. The counterintuitive “secret” about why deleting your email subscribers is sometimes the best move you can make. 7 email marketing metrics you must track on a regular basis. How I consistently create emails which get opened, read, and clicked. I have this down to a science and I use it on a daily basis. The average email open rate for financial advisors. Knowing this number will let you know where you stand against your competitors. How to track your return-on-investment from email marketing. 4 things to keep in mind every time you send an email. A 13-day sample autoresponder series I designed to take someone from a cold lead to a potential client. 7 of my best-performing subject lines you can copy-and-paste into your own emails. The single most profitable email marketing secret I have ever discovered. I have NEVER revealed this secret anywhere until this course. This one thing has the power to pay for the course in full, so don’t miss it. A peek inside my email account, where I consistently get more than DOUBLE the opens of the average financial advisor. The above image is a peek into my own email account. According to Constant Contact, the average open rate for financial advisors is 15.36%. This means I am consistently getting more than double the average open rate. The good news? I reveal my "secret sauce" inside the course. 5 reasons you should to use Facebook and why it’s one of the most underrated tools in marketing today. Exactly how to use Facebook to get in front of your target market and remain top-of-mind. When they’re ready to hire a financial advisor, you’ll be the first one they call. 4 reasons why you see what you see on your newsfeed - knowing how this content gets there is like knowing the “cheat code” to push your content in front of your prospects. 3 ways you can find an endless stream of content ideas to post to Facebook. The best time to post on Facebook, and why. 3 things I wish I knew about Facebook ads before I started. I had to learn these things the hard way and you get them spoon-fed to you. How to create a trust-building, authority-establishing Linkedin profile that helps your ideal clients find YOU. 3 of the biggest social media lies that keep your trapped in a prison of mediocrity. The most important piece of “LinkedIn real estate” virtually all financial advisors underestimate. How to tap into the large percentage of people who don’t do business with you right away. LinkedIn is the best way to nurture these people and get them to an eventual “yes”. Exactly what I would do to get clients if I could only use LinkedIn for an hour each day. However, if you're still not convinced, remember it's guaranteed to be worth 10 times its cost to you or you pay nothing. Why? Because I want Financial Advisor Marketing Mastery to pay you back many times what you paid for it as fast as humanly possible. That way it doesn't "cost" you any money. A "sneak-peek" inside the Financial Advisor Marketing Mastery course. Or 12 monthly payments of $97 each if you select the payment plan. 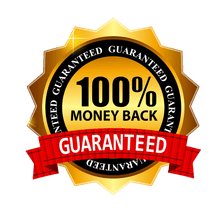 And it comes with a 100% money-back guarantee, which is explained below. 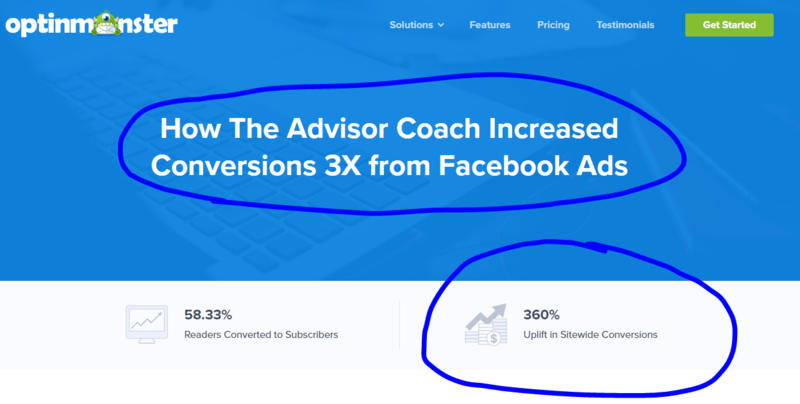 ​This is significantly less than the $5,000 per month I charge for private consulting because I want to make this course available to more advisors. After all, I can only work one-on-one with so many people. Which is why I've made sure when you enroll in Financial Advisor Marketing Mastery, you get instant, unlimited access to all of the material. You can watch the videos as often as your heart desires. You can work through the videos at your own pace. You can go at the speed which works best for you because you can access the material anytime you want. 100% of the modules are open from day one, so you can start with your weakest areas and immediately improve them. Imagine it’s a few months from now and you’re getting more clients than ever before. You're Also Getting Three Bonus Videos ($241 Value), Absolutely FREE. Because I want to make this an even better deal, I’m throwing in these three never-before-seen bonuses for FREE. All of three of these bonuses are available inside the course under the "Bonuses" section, which you'll see as soon as you log in. ​Why the fear of rejection is a GOOD thing, despite what everyone else believes. Why you actually WANT prospects to reject you. Two thought experiments that will transform the way you think about rejection forever. A weird little trick on how to approach prospecting so rejection doesn't faze you one bit. ​When your prospects search "financial advisor" in your area, are you at the top of the search results? If you're not, your prospects will call your competition instead. Or perhaps you have someone who is interested in working with you, maybe has an appointment with you, then goes home to search for financial advisors online. If he or she can't find you, congratulations, you just lost a client. The good news is this is a pretty easy fix. In this free bonus I will show you what to do to improve your chances of ranking in local search. This is one of those things you can see how to do in a few minutes, implement in less than a day, and change your business for the better. You will be blown away at how simple this is. I've seen financial advisors who think they're "killing it" on their website, social media, etc. because they get a few measly inbound leads coming their way. However, they don't have the faintest idea in the world of how to treat these leads. Or perhaps they're spending big bucks on advertising. Then when the phone rings, they blow it. Handling an inbound lead must be done systematically - any other way will fail to perform as well. In this bonus, I'm going to show you how to do it, step-by-step. Why not all inbound leads are created equally. The best way to approach an inbound lead when it seems ice cold. The MOST IMPORTANT thing to remember when dealing with inbound leads. Exactly what to do if you can't respond to the inbound lead right away. While I can’t guarantee any specific results because I don’t know your particular situation or your circumstance, I would be SHOCKED if this course didn’t rock your world in a major way. Either way, it doesn’t matter because I offer Financial Advisor Marketing Mastery with an ironclad, zero-risk, 30-day money-back guarantee. Try this course for 30 days, and if you don’t feel that it will be worth at least $9,970 to you over the course of your career, I will give you a prompt and courteous refund. You don’t even have to send anything back. Just send me an email (james@theadvisorcoach.com) or give me a call at 937-REVENUE. What if this course helps you get an extra ten clients this year? Would it be worth it? Once you make your purchase, you’ll get instant access to the course. The worst-case scenario is you hit the “delete” button on the entire thing and get your money back…. … and the best case scenario is life-changing. Click the “Get Instant Access” button to get started now. 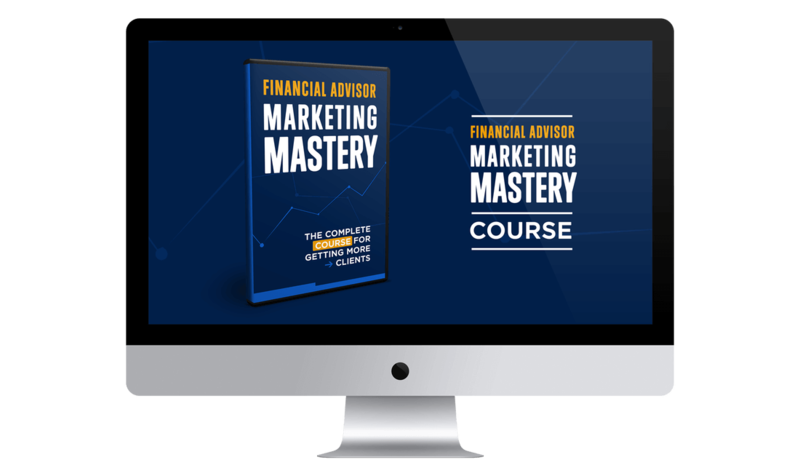 I’m offering you my online course, “Financial Advisor Marketing Mastery”, which contains over 11 hours of video content showing you how to build your business and get more clients. The “cost” is $997. There’s also a payment plan option with 12 monthly payments of $97 each. I’m also giving you three valuable bonuses ($241 value) because I want to say “thank you” for giving the course a try. In fact, the course comes with an ironclad, zero-risk, 30-day, 100% money-back guarantee. Enroll in the course and take it for a test drive for 30 days and if you don’t feel as if it’s worth 10X what you paid, let me know and I’ll give you back every penny. You don’t even have to send anything back. Lifetime access. Free updates for life. 100% money-back guarantee. ​Yes, James - I Am Ready To Get More Clients Today!